The torrential rain continued from 5th July 2017 caused a huge disaster in North of Kyushu in Japan. 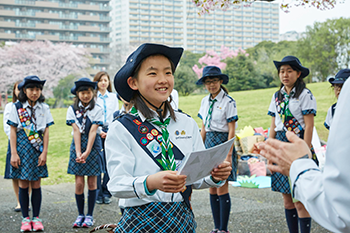 On behalf of Girl Scouts of Japan, we would like to extend our deepest sympathy to the victims and people who are effected by this disaster. We pray for the people working for recovery and reconstruction under difficult circumstances.